Looking for an identification guide to wetland birds? 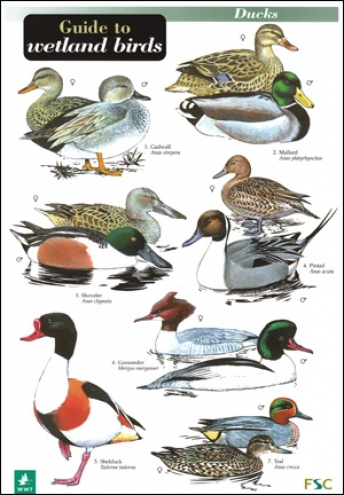 Produced in partnership with the Wildfowl and Wetlands Trust, this 12-panel laminated fold-out chart provides coloured illustrations and information on 49 species of birds commonly found in wetlands throughout north-west Europe. It includes 11 duck species, 7 geese, 3 swans, 20 waders as well as other wetland birds.